Why? we send sympathy flowers. 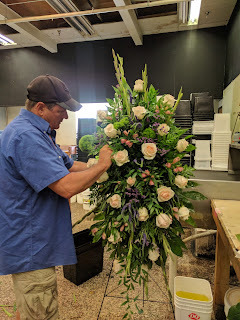 Why we send sympahty flowers to funeral home and house? Sympathy flowers are a great way to show support to a family that is grieving the loss of a loved one. Symbols such as flowers convey love, facilitate expression, provide meaning, and communicate emotions that words fail to capture. By Dr. Alan Wolfelt. Lily: This lovely flower usuall blooms beautifully in summer, and is often interpreted as a symbol of renewal and rebirth. The lily can be a powerful symbol of the spirit of a loved one that offers hope and encouragement to a grieving family. The idea of rebirth and renewal is particularly applicable to faith-based services. Rose: This is that awesome love flowers, the popular powerful flower has very different meanings associated with different colors. Like white roses tend to represent purity and innocence. Peach roses represent sincerity and gratitude, and can be given to a family whose loved one has blessed your life. Pink roses also indicate gratitude. The yellow rose is a symbol of friendship that expresses your support. All of these colors of roses make great sympathy gifts for a grieving family. Carnation: The carnation is a symbol of love. Some people believe that the word “carnation” came from “incarnation,” the Latin word that refers to God om the flesh. With this in mind, a carnation could be given as a gift to a family to honor a life that reflected the spirit of Christ. More generally, it can be used to express love for the family or for the loved one who has passed. And since the carnation is the traditional flower of Mother’s Day, it can be a great choice to honor the life of a person who was a great mother to her children. Chrysanthemum: This gorgeous flower has many meanings, but it is often used as an expression of support or an encouragement to “get well soon.” Fusing the more positive American associations with the European emphasis on mourning, we find a perfect balance that applies to an end-of-life ceremony. A symbol of death and mourning, but also support and encouragement, the gift of the chrysanthemum is well-suited to a funeral setting. 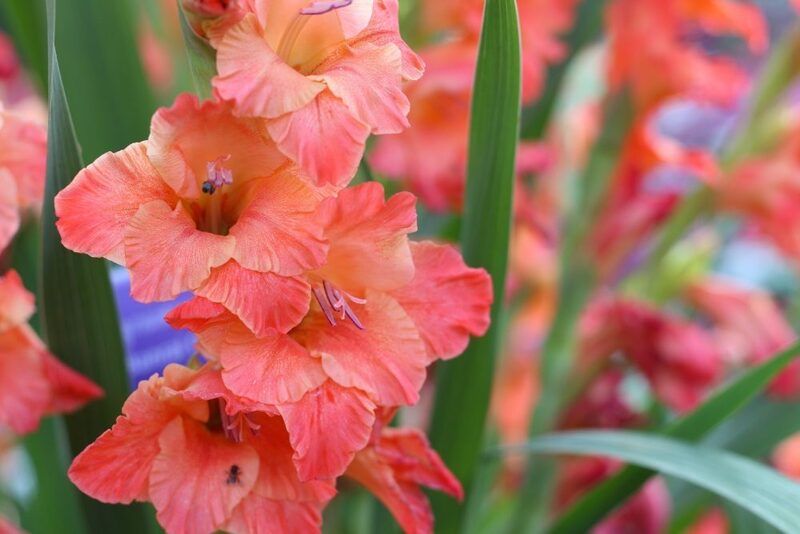 Gladiolus: The gladiolus is a beautiful representation of strength and character By giving a grieving family this flower, you essentially remind them what wonderful people they are and encourage them to persevere on their grief journey. As a sympathy gift, the gladiolus does not ignore the pain of loss, and it effectively communicates your compassion in a difficult time. But it is also an uplifting reminder of their strength and of the strength of their loved one, which motivates them as they enter into a difficult chapter of their lives. Who Accepts Bitcoins? Who accept bitcoins as payment? Bitcoins are taking over the crypto-currency marketplace. They’re the largest and most well-known digital currency. Many large companies are accepting bitcoins as a legitimate source of funds. They allow their online products to be bought with bitcoins. With the extreme facilitation of transfer and earning of bitcoins, it would be a mistake not to accept these new-found online coins as cash. With a fluctuating value, the funds can either help or hurt the company. ATX Flowers(Flora Funeral Team) Now accepts bitcoins payment for you convenient. please call 512-586-9138 for more information. Mission Funeral Homes one of Austin's oldest family owned and managed funeral home. Family serving family. Mission Funeral Homes and the Villaseñor family have proudly served Austin since 1959. The stress of making funeral plans can be very difficult on loved ones. Most families have little knowledge what final arrangements their loved one desired and the expense of funerals can easily create a financial burden for family. Pre-planning allows you to protect loved ones from additional emotional stress and can help to eliminate the financial burden of purchasing funeral goods and services. Learn more about our funeral preplanning services. Cremation is an alternative to the burial process and it is chosen by many people because of religious beliefs, the desire to preserve the environment or it was requested by the person who died. Cremation is also a less expensive option in comparison to a burial. The remains are placed in a container that is combustible and placed in a special furnace called a cremation chamber or a crematory where through intense heat is reduced to bone fragments that are then crushed and pulverized to resemble course sand. Learn more about our cremation services. Traditionally, a burial service involves a visitation, followed by a funeral service in a church, or other place of worship. You have the option of having the remains interred (earth burial), or it may be entombed in a crypt inside a mausoleum (above ground burial). Family or religious traditions are often a factor for choosing burial. Burial arrangement decisions also need to be made on whether the body needs to be embalmed, what kind of casket to use, and what cemetery to use. Learn more about our burial services. Mission Funeral Homes also services the Hispanic community by offering funeral services in Spanish. Casket. With sincerity, pride, and dedication, we are committed to this time-honored tradition. With sincerity, pride, and dedication, we are committed to this time-honored tradition. Angel Funeral home opened the doors of the funeral home years ago. They are reputation for providing the highest quality of service grew, and today Angel privileged to serve hundreds of area families each year. In recent years, Angel gathered together a staff of highly-qualified and deeply caring individuals to assist us in continuing the funeral home’s mission of providing excellence in service to families in their time of need. Whether you have an immediate need for our services or you wish to begin pre-planning a funeral arrangement for you or someone you love, call :512-441-9738 .
local at 1300 E. 12 Th Street Austin Texas center of Austin.